Mayor Ruttan officially proclaimed the week of July 12 -18 as Silly Boat Regatta Week in Nanaimo at last night's city council meeting. This popular fundraising event is perhaps one of the best attended summer events in Nanaimo. It is always interesting and funny to see what kind of watercraft wll be entered into this event. If it floats (and sometimes if it doesn't) and can be taped, glued, nailed or stapled to some kind of a structure, chances are it will be entered in this race. 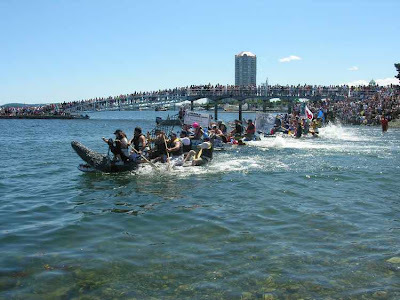 It's time to start planning your teams entry for this years Silly Boat Regatta and put your fund raising plans in place as all proceeds support the worthwhile work of the Nanaimo Child Development Centre. Silly Boat rules can be viewed here. If you are able to volunteer to help out with this event use this LINK. 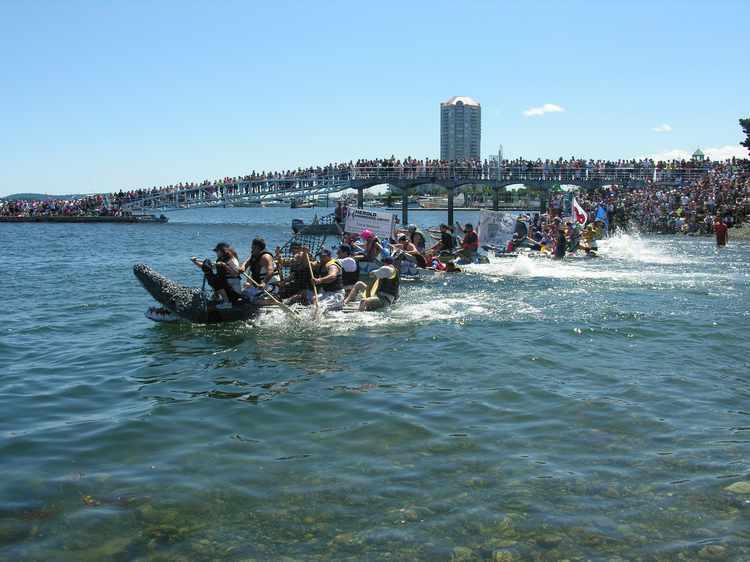 The Silly Boat Regatta has been a Nanaimo summer event since 1984 when the first race was able to raise over $4000 for the Child Development Centre and last year raised over $107,000 for this most worthwhile cause. So get a team together, raise your pledges, plan and construct your idea of the best silliest boat you think can race around the buoy in the Inner Harbour and back without sinking. Most of all, just have FUN and be SILLY.